Preheat oven to 350°F. Grease and lightly flour twelve 2½-inch muffin cups or line with paper bake cups that have been coated with nonstick cooking spray; set aside. 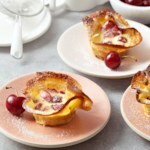 Spoon batter evenly into prepared muffin cups, filling each two-thirds to three-fourths full. Bake about 14 minutes or until a toothpick inserted near centers comes out clean. Cool in muffin cups on a wire rack for 5 minutes. 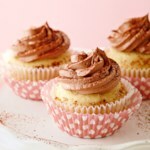 Remove cupcakes from muffin cups. Cool completely on wire rack. 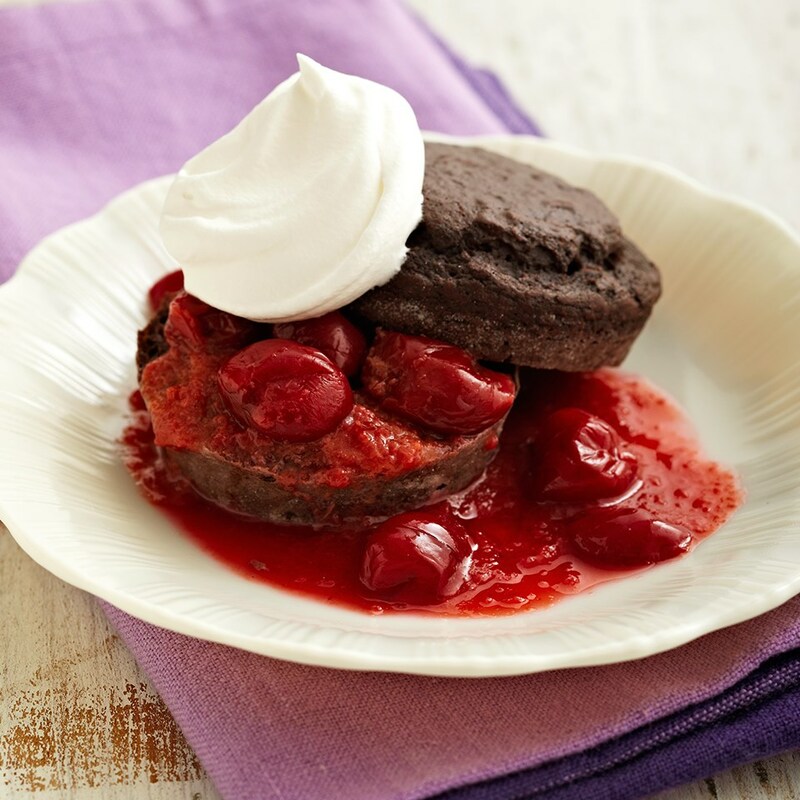 To prepare Simple Cherry Sauce: Place 1½ cups red cherries in a blender or food processor. Cover and blend or process until smooth. Transfer pureed cherries to a small saucepan. 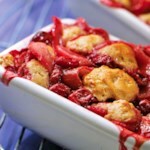 Stir in ¾ cup red cherries and 2 tablespoons granulated sugar. Heat and stir just until boiling. Cool slightly before serving. 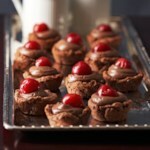 To serve, pool a scant 2 tablespoons cherry sauce on each dessert plate. 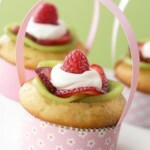 Cut cupcakes in half and arrange two halves on sauce on each plate. 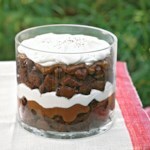 Add a dollop of about 2 tablespoons whipped topping to each dessert.